With the summer holidays coming up, why not plan a day or two at your nearest waterworld, for a fun treat? Bigger and better than your average local pool, a waterworld boasts exciting features to make a swimming trip into a brilliant day out. Add to the fun factor the health benefits of getting active as a family, and it makes sense to seek out the nearest splash fun near you! Waterworlds are also just as good for warm weather days (a cooling dip!) as they are on the summer days when the sun doesn’t want to play – making them an ideal alternative to your usual outdoor activities like the park, theme parks or seaside trips when the great British weather is falling short of the mark. 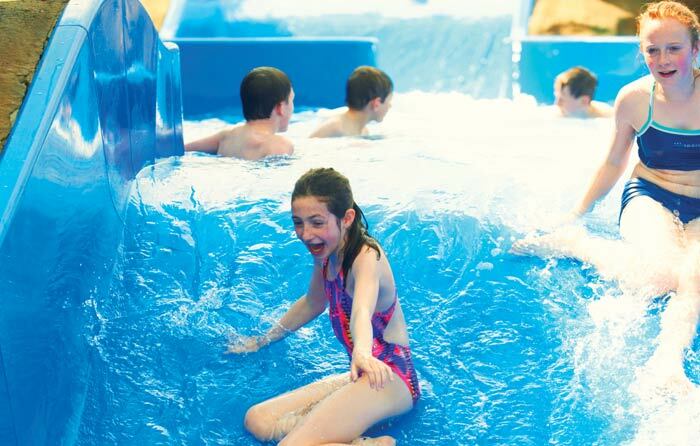 Wave Pool – Wave pools are fantastic fun and offer a real seaside experience. At selected times of day, floats, rings and inflatables may be added to the pool for extra fun. Bubble Pools – Whether it’s a Jacuzzi, a ‘bubble mountain’ or surprise bubble areas in the main pools, you need a good amount of bubbles to make a really great waterworld. Flumes – If you have family members of different ages and heights, check which flumes are suitable before you head off. The Space Bowl, Black Hole and Master Blaster type rides are examples of fast-paced thrills that will get the adrenalin pumping, while the whole family can enjoy tamer flumes, raft rides or lazy rivers together. Rapids – Allow the current to carry you around indoor or outdoor rapids for brilliant family fun. Outdoor Areas – Some waterworlds, Splash Landings at Alton Towers for example, have outdoor areas which are fantastic for sunny days. As well as great fun attractions, consider what facilities your choice of waterworld needs to have make your trip as easy and enjoyable as possible. For example, spacious family changing rooms, cafes and spectator areas. You’ll also find the pool areas dotted with seating at Alton Towers and Butlins Skegness pools, for when you want a little rest from the water play! 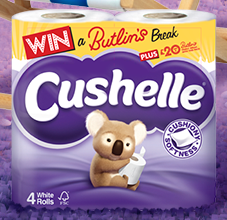 If one day of splashing good fun isn’t going to be enough, why not try to win a Butlins family holiday with Cushelle? Simply fill in the online form to be in with a chance – and if you are a lucky winner, don’t forget your swimsuit!